Louise Punshon, 72 years of age, passed from this life suddenly on Thursday, August 23, 2018, in Osawatomie, Kansas. 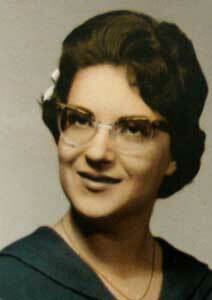 She was born on January 1, 1946, in Kansas City, Kansas to John “Edward” and Helen (Lanning) Punshon. She attended Osawatomie High School and then went on to the Wright’s Business School. Louise graduated with her business degree and started employment at the Kansas University Medical Center on August 16, 1967. On April 18, 1981, she transferred to the Osawatomie State Hospital where she worked as a secretary until she retired on March 17, 2001. Louise was a member of the P.E.O. Sisterhood, Eastern Star, United Methodist Church (choir) and many other organizations where she loved to volunteer her time. She was an avid reader, enjoyed watching Disney movies, crocheting, singing in her church choir, contributing too non-profit organizations that assisted in cancer research and child education. Like her father, Louise had a soft spot for animals. Louise was a very giving person; she was known as “Aunt Weezer” to her nieces and nephews. She is loved and will be missed by many. Louise is survived by her brother John “Steven” and wife Alva Punshon; nieces Nicki Chambers, Jacki Newcomb and Regina Smail; great-nieces and nephews, Samantha Clinton, Fran Chambers, Lee Chambers, Noah Newcomb, Lexi Smail, Amanda Newcomb, Kevin Newcomb, Elli Smail and Bear Smail. She is preceded in death by her parents Edward and Helen Punshon; nephew John “Michael” Punshon.